NASA’s newest planet hunter has likely found its first planet, and days after that, its second. Astronomers are waiting for independent confirmation from other telescopes, but a surfeit of new planets could be rolling in thanks to a candidate list 73 deep and counting—an impressive haul for a space telescope that took its first science image less than two months ago. The Transiting Exoplanet Survey Satellite (TESS) launched in April of this year and spent a few months flying to its final orbit, looping out about as far as the moon and then back in close to transmit data to Earth. 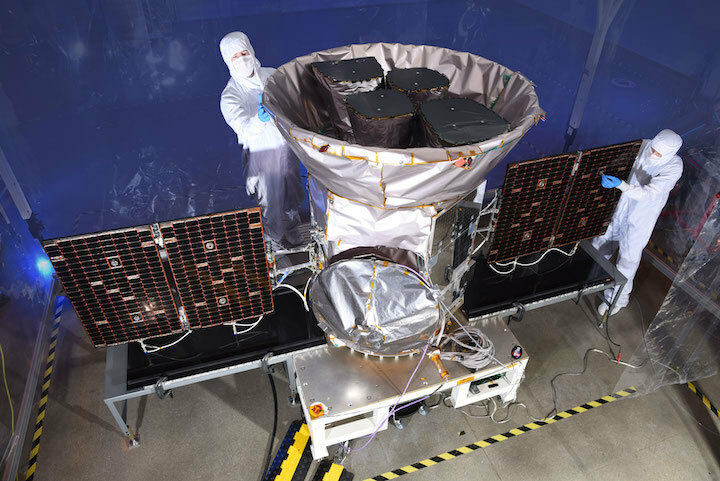 From this vantage, TESS will conduct a two-year survey to scan about 85 percent of the sky. The orbiting observatory is expected to spot thousands of exoplanets around the closest and brightest stars—perfect candidates for further study using bigger telescopes. The first two planets TESS discovered are strange worlds indeed. One looks like a miniature Neptune, but sits much closer to its star, making it hotter and more volatile than our solar system’s big blue planet. The other is an Earth-sized world locked in an embrace with its star so tight that it completes an orbit in just 11 hours, making surface conditions particularly hellish. But of the thousands of exoplanets that TESS will reveal, scientists are primarily interested in just a fraction of one percent. 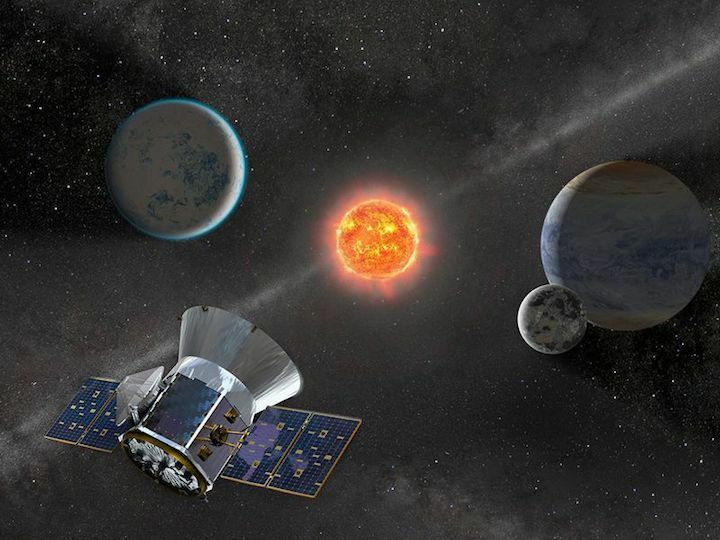 Natalia Guerrero, the TESS Objects of Interest (TOI) deputy manager at MIT, says the spacecraft is really on the hunt for about 50 planets, each less than four times the mass of Earth and within their star’s habitable zone. “We hope we find more than that, but that’s what we expect,” Guerrero says. While the entire catalogue of exoplanets will help scientists learn about the distribution of planets across the galaxy, the handful that Guerrero hopes to find most are ideal targets in the search for another life-bearing world. A planet that’s less than four Earth masses is likely rocky, for example, and if it also orbits the correct distance from its star (which depends on the size and temperature of the star), it could support liquid surface water. A number of other factors influence whether life could realistically exist on a planet—the abundance of organic compounds, for example—but given what we know about Earth, rocky planets with water seem like the best place to start. Additionally, the next generation of large telescopes will be able to study these planets in ways that are impossible with telescopes today. TESS finds planets via the transit method, which looks for dips in starlight caused by a planet moving in front. The sophisticated light sensors on the space telescope “can detect the amount of light a moth blocks out when it flies across the full moon,” Guerrero says. Therefore, every planet that TESS discovers will be one that passes in front of its star from our perspective, which presents an opportunity to find targets for the next big step in the hunt for an Earth-like world: measuring atmospheres. To figure out what an exoplanet atmosphere is made of, you need an instrument called a spectrometer, which can analyze the chemical signature of celestial objects. When a planet passes in front of its star, some of the starlight passes through the atmosphere, and certain wavelengths of light are filtered out by the presence of specific elements. Right now, with something like the Hubble Space Telescope, such measurements can only be taken for nearby Jupiter-sized planets or bigger. But giant space telescopes—ones like the upcoming James Webb Space Telescope, a tennis-court sized monstrosity scheduled to launch in 2021—will be able to isolate light passing through the atmosphere of a smaller planet to figure out what the planet’s air is made of. With the right telescope and conditions, an atmosphere might reveal itself, and a world we know is Earth-sized could truly become Earth-like if it has an atmosphere anything like ours. 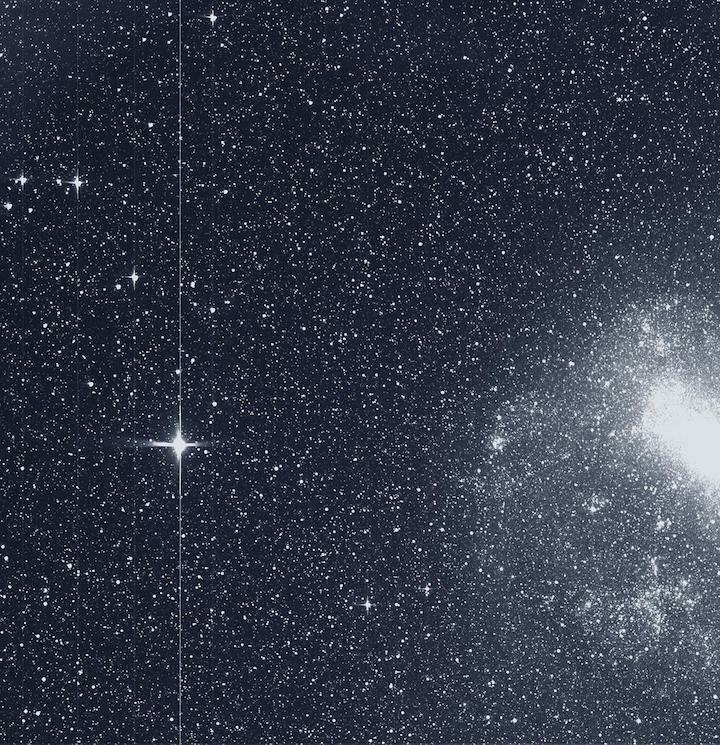 TESS searches for planets that are relatively close, within about 330 light-years, scattered across the Northern and Southern Hemispheres (the space telescope is searching the south right now and will turn to the north sometime next year). This approach is unlike NASA’s other big planet-hunting space telescope, Kepler, which has stared at the same field of stars for around four years. While Kepler can collect enough light to find planets as far as 3,000 light-years away, the new survey mission with TESS will find nearby planets in all locations of the sky. Mendez says he believes TESS will yield “dozens” of new habitable exoplanets, and the telescope will also expand the ability of his team to study some of these distant worlds. Of the couple dozen known habitable planets, only four are within the field of view of Arecibo. “TESS will provide many more targets for follow-up observations by Arecibo and many other telescopes around the world,” Mendez says. In addition to probing distant atmospheres, follow-up observations with telescopes around the world can teach us a surprising amount about far-flung planets. Take Pi Mensae c, for example, the first planet discovered by TESS. The world orbits the star Pi Mensae about 60 light-years away, or 350 trillion miles. It completes an orbit in just 6.27 days, and it has a radius about twice the size of Earth—two parameters that TESS can measure as the planet passes in front of its host star. But there is another crucial bit of data that TESS cannot measure: mass. The planet Pi Mensae c has nearly five times the mass of Earth. To calculate this figure, astronomers had to dip back into old data of the star. Pi Mensae, or HD 39091, was already known to have one giant planet—ten times the mass of Jupiter. That planet was found in 2001 by the Anglo-Australian Planet Search (one of the earliest exoplanet hunting groups) through a process called radial velocity. The radial velocity method looks at disturbances in a star’s motion, which can indicate that a planet is tugging on the star with its gravity. The technique is primarily useful for finding huge planets, but once one is discovered, radial velocity measurements can be used to calculate mass. “While the [new] planet’s signal is definitely present in the data that already existed, it’s not very big because the planet is so small,” says Jennifer Burt, a Torres postdoctoral fellow at the MIT Kavli Institute for Astrophysics and Space Research who co-authored the paper detailing the first TESS planet. After determining the mass of Pi Mensae c, astronomers realized that the planet is likely more similar to an extremely small variant of Neptune rather than a very large variant of Earth. But within a few days of announcing their first planet, the TESS team had already found their second—and it’s a really weird one. The planet orbits the star LHS 3844, which is a cool, small star called a red dwarf. These cool little stars represent the most plentiful type of star in the universe. Many red dwarfs have planets that orbit in a matter of days, but the newly discovered planet around LHS 3844 completes its orbit in just 11 hours. One week on Earth accounts for 15 “years” on this planet, putting it into a small class of ultra-short period planets. At first, TESS discoveries will be biased toward these kinds of planets—repeated transits across the star mean they’re easier to detect. With dozens of strong candidates still on the TESS list for this sector, there could be plenty of discoveries right around the corner. Such collateral planets will pile up during the mission while we wait to discover more Earth-like worlds that orbit their stars in a few hundred days. But as Burt points out, even the inhospitable planets paint a brilliant story of the night sky. The star Pi Mensae, now with two known planets, is bright enough to see with the naked eye. When TESS’ initial two-year mission is up—and the team is already planning a mission extension—we should have a good understanding of which nearby stars have orbiting worlds of their own. “By the time TESS finishes its mission, you should be able to walk out into your backyard, point at a star, and know there are planets around it,” Burt says. Perhaps one of those planets will even look a bit like our own.